‘Early last Weds morning (June 28th) in Beijing, a Memorandum of Understanding between Bord Na Mona and PowerChina was signed to go to the next phase in the development of the Hydro Electric Plant in the Silvermines. This is a very important step and a critical announcement and something I have worked on for a year and half. 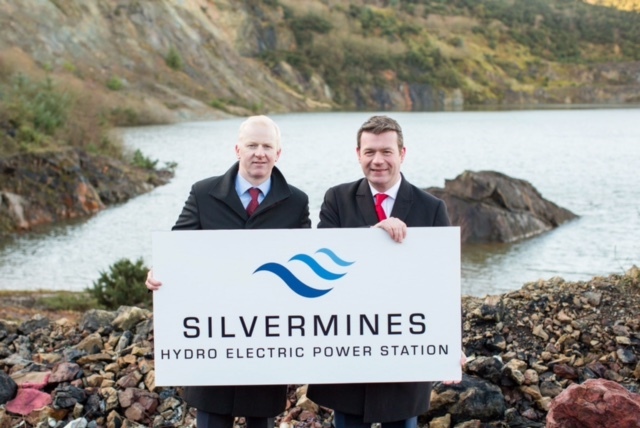 As you will be aware in January 2016 working with Darren Quinn CEO of Siga Hydro we announced plans to develop a Hydro electric plant in the old mining area in the Silvermines. It was estimated that the project would cost €650m and would be worth €2.5bn when built. The plant would use ‘pump storage’ technologies to produce 360 MW of electricity which would power approximately 200,000 houses. The project would create approximately 400 jobs during construction and well over 50 during operation. However, there would be a much greater economic impact on the area from the huge spend that will result and there will be other ancillary benefits. The project is very similar to the plant in Turlough Hill, Co. Wicklow. Effectively, the plant would have two reservoirs linked together by a huge steel pipe. When there is excess wind energy created across the country, particularly at night, this will be used to pump the water from the lower reservoir to the higher reservoir. Then at times of peak demand (in the morning when we get up and in the evening times) the water is released and flows into the lower reservoir and turns turbines in it thereby creating energy which is used. The plant will be serviced by the 400 and 200 kv lines that are approximately 4km away. Significantly from a local perspective, the project will not alone be a zero emission hydro electric power station but will also greatly advance the environmental rehabilitation of the area, with water in the existing reservoir set to be decontaminated, ending the seepage of harmful minerals into local water tables. It will also help with an overall plan to finally deal with all the environmental issues that exist from centuries of mining in the area. When I was a Minister in the last Government, we launched a White Paper on Energy Policy that stressed the need for such a facility in Ireland. This was crucially important to progress this project. Furthermore, Tipperary County Council supported the development of such infrastructure through their plans and policies too. After the announcement of the plans for this project, we engaged in a series of consultations with he local community in the Silvermines, culminating with a public meeting in Hickeys in the Silvermines. After that there were a huge volume of meetings and discussions with various companies and organisations on the project. There were many meetings and conversations with the Minister for Energy and his Department. This all resulted in a visit from representatives of the PowerChina company (http://en.powerchina.cn/about.html) in March of this year. They were here for approximately 10 days and I met them on a number of occasions. They spent some time surveying the Silvermines site and I accompanied them as the local TD. I also had a number of meetings with the Chinese Ambassador to Ireland and he was very supportive. 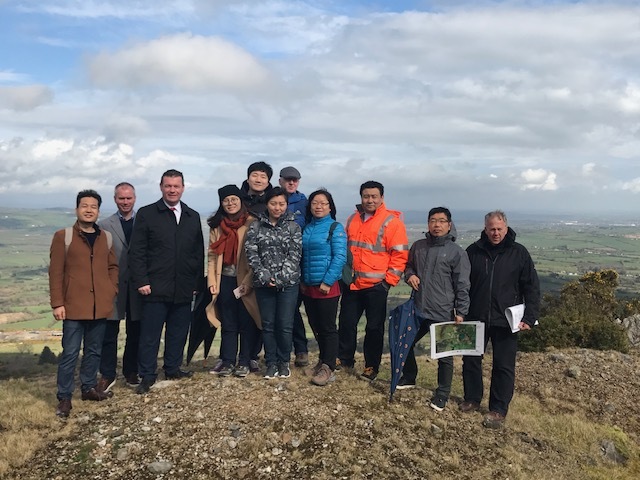 As a result of this, last Wednesday morning a Memorandum of Understanding was signed between Bord Na Mona (in conjunction with Siga Hydro) and Power China to go to the next stage of the project. It is very important that Bord Na Mona were involved as the have experience with developing and planning large scale projects in Ireland. This is a critical milestone for this great project and I’m absolutely thrilled with this. It’s taken many, many hours, days and even weeks of work to get to this stage and I look forward to working with all the partners into the future as they bring this project further towards a planning application. I will keep everyone updated as required. I want to thank the community in the Silvermines in particular for their support to date and also, Tipperary County Council, my colleague Cllr Fiona Bonfield and many friends and staff’. Notes on Photos: attached are a range of photos. One of the signing of the Memorandum of Understanding today by Mike Quinn CEO Bord Na Mona and Mr. Du Chunguo President PowerChina. The original photo where I’m present at the Silvermines Site with the project developer, Darren Quinn, Siga Hydro.